Balikpapan based PT. Bhumi Phala Perkasa, originally founded in 1993, has proven itself being capable of handling big projects and building an exceptionally excellent track record, which has made it possible to grow from a small company to a large enterprise company. Encouraged by the rapid development of Balikpapan and East Kalimantan, with all its mining, oil, gas, petrochemical industries and the full (technical) support by out principals (all recognized American, Europian, and Australian manufacturers), PT. 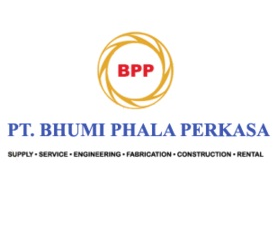 Bhumi Phala Perkasa decided in 2006 to invest in brand new modern workshop and office. The new workshop and office, has given PT. Bhumi Phala Perkasa the opportunity to increase the capacity for all its divisions supporting the oil, gas, mining, and petrochemical industries. And as of today we have eight main divisions and a wide range of products. The divisions exist of the Cooling System Division (Fabrication, Re-engineering, Repair and refurbishment for radiators, lube oil coolers, gas coolers and heat exchangers), the Engine Division (Re-engineering, Repair, Overhaul and refurbishment of any type of engine), the Filtration Division (Advanced Filtration and Separation Applications), the Pump and Valve Division (Repair, Overhaul and refurbishment of any type of pump/valve), the Crane Division (Re-engineering, Maintenance, Inspection, Repair and Replacement for any type of crane), the Machinery Division (Fabrication, Re-engineering, Repair and refurbishment) and the two internal supporting divisions, Fabrication & Service). A well-established services company for oil & gas and mining industry, urgently need for the following positions. Experience at least 5 years in supervising of any crane maintenance and mechanical job including lifting equipment, engines, and power pack. Overall 10 years experience in performing the similar job of lifting equipment and crane maintenance/ repair and have offshore experience in oil and gas industries. Holding Diploma III (D3) degree in engineering will be preferable. Have certificate in crane inspection and maintenance e.g : Migas Crane Inspector or API RP 2C/2D or well known lifting equipment on lifting equipment maintenance. Have understanding to the related industrial and MIGAS standard in operation, maintenance and repair of lifting equipment and crane such as but not limited to MIGAS regulation, API RP 2C/ 2D, and ASME B30 Series crane standards. Have experience and physical ability to work on onshore and offshore installations in the climatic conditions of the site. Have proven ability as a leader of small teams. Perfectly competent and independent, show common sense and organizational ability. Language : Indonesia and English. Holding Bachelor degree (S1) with at least 3 years experience in lifting engineering or Diploma III (D3) with at least 5 years experience in lifting engineering. Capable to make onshore Lifting Plan calculation and lifting arrangement drawing. Able to generate lifting plan drawing with AutoCAD. Familiar and understand with crane (mobile crane), lifting equipment, lifting calculation and Lifting Plan. Familiar and Understand with crane and lifting code, standard, and procedure such as, API, ASME, DNV 27.1, and Migas regulation. Familiar and able to operate MS Excel, Power Point and Word. Understand and able to develop Job Safety Analysis. Only shortlisted candidates will be notified, please submit your application (is not more than 2 MB) up to 2 weeks with complete curriculum vitae with subject Position Title by E-mail to: hrd_ga@bhumiphala.co.id. FRAUD WARNING!!! PT Bumi Phala Perkasa will never ask applicant to pay a processing fee, ask for money or appoint any travel agent for the recruitment process. Thanks for reading PT Bumi Phala Perkasa Jobs: 2 Positions. Please share...!